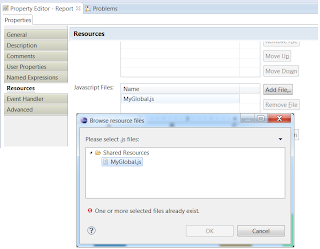 This function can be put in a .js file and then placed in the BIRT resource folder. 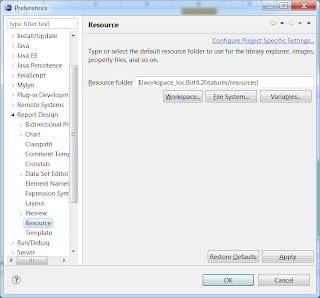 If you do not have a resource folder configured for your BIRT project, it can be set from the designer window preferences dialog. 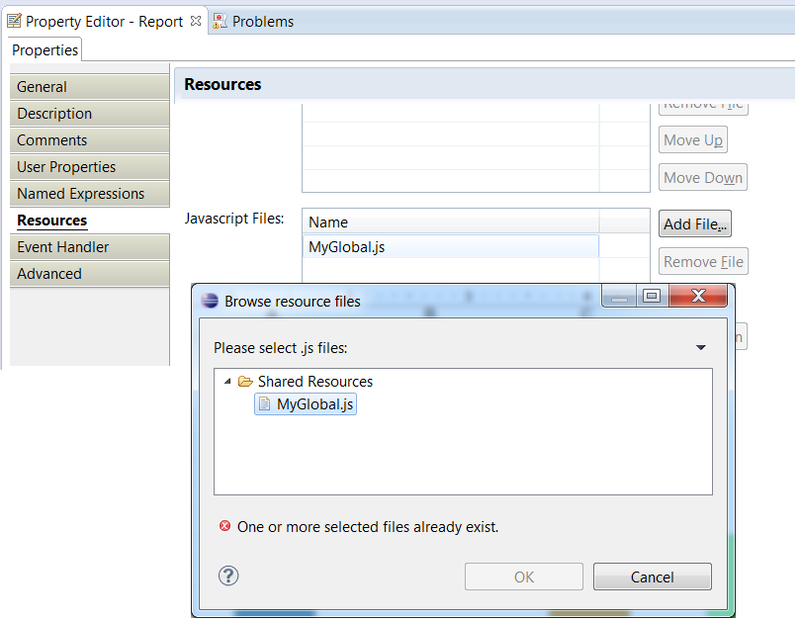 The global function can now be called in the expression builder or in script. The evaluate function within the reportContext object can also be used to evaluate your script at runtime. 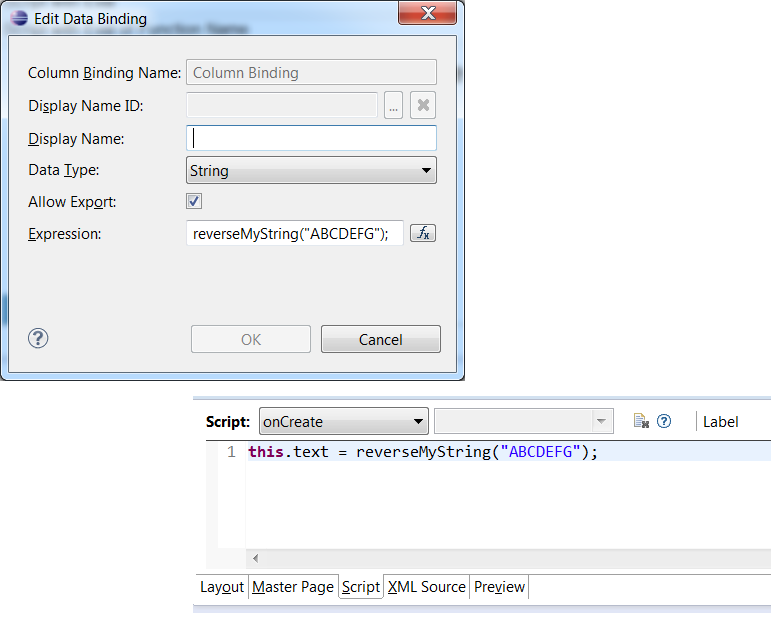 Using this same method, a handle to the function can also be retrieved. When writing Chart script it is important to understand that the Chart Engine’s Script Context is not the same as the reports. The Chart Engine also does the bulk of its generation and rendering during the report engine’s render phase. 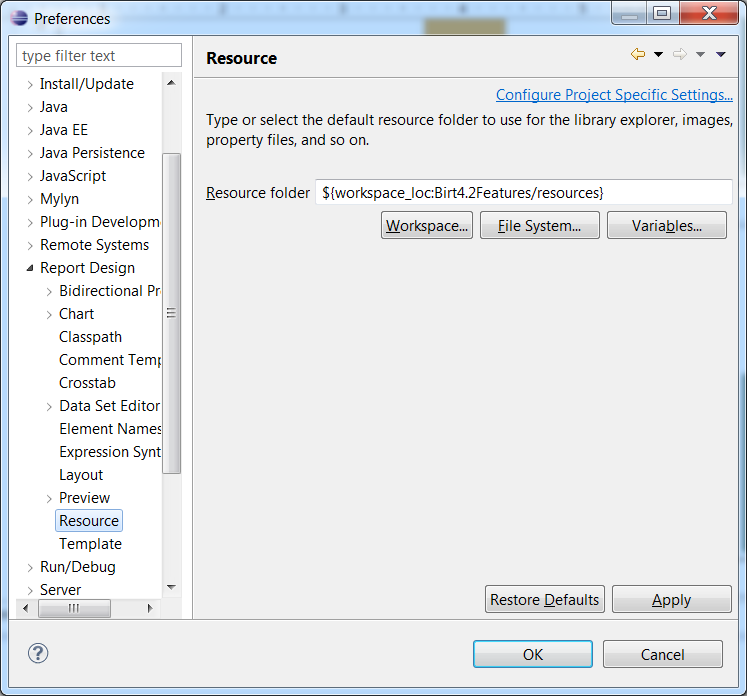 Chart script events can get access to the reportContext object by using the following script. Once the reportContext object is obtained you can make all of the standard calls available to it. These include getting a report parameters values, getting or setting a global variable, retrieving a localized message or calling the evaluate function. For example, to reverse the chart title the following script could be used. 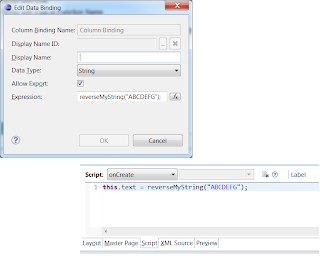 You could then call this function in chart script as shown below.